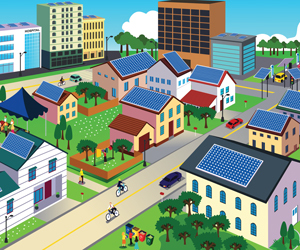 The National Rural Electric Cooperative Association and other energy and environmental stakeholders are uniting around “community storage” as they search for a way to solve the electric industry’s energy storage challenge. NRECA, the national service organization for the Colorado Rural Electric Association and the nation’s 900-plus consumer-owned, not-for-profit electric cooperatives, is a charter sponsor for The Community Storage Initiative. Additional charter sponsors include American Public Power Association, Edison Electric Institute, Natural Resources Defense Council and Peak Load Management Alliance. The Initiative will be chaired by Gary Connett, director of member services at Great River Energy, a generation and transmission cooperative based in Maple Grove, Minnesota. The Initiative’s supporters include a wide array of energy, environmental and business interests including several trade associations, environmental and efficiency advocacy groups and manufacturers. Research conducted by The Brattle Group and sponsored by the Initiative’s founding members recognized that the nation’s 50 million residential electric water heaters collectively represent a significant and vastly underutilized energy storage resource capable of leveraging substantial environmental and cost benefits. A recent article in Public Utility Fortnightly introduced the community storage concept. Links to both the report and the article can be found on the Community Storage Initiative’s website, http://www.communitystorageinitiative.com.